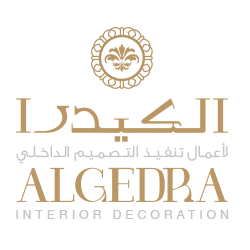 ALGEDRA Interior Design is specialized in providing stunning and exceptional interior design services that include creative space planning, 3D rendering, detailed drawings, material selection, FF&E, and project supervision for both residential and elegant commercial projects in the region. We provide complete interior design solutions for all kinds of interior spaces. The expertise includes Gypsum work, paint & wallpaper, flooring work (marble, tiles, parquet & carpet), lighting work, joinery work, and Landscaping work (swimming pools, gardens, etc.). We have the most creative team in Turkey who work with complete passion to satisfy the customers. With this team, we handle all kinds of projects with high efficiency and satisfying results.